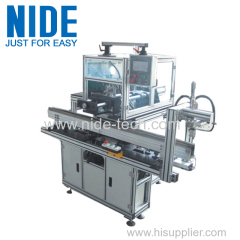 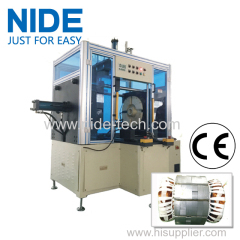 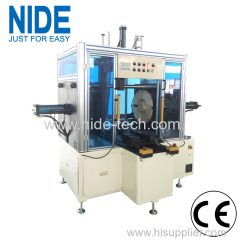 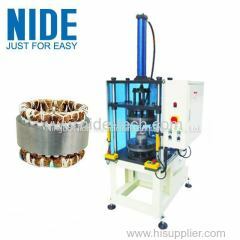 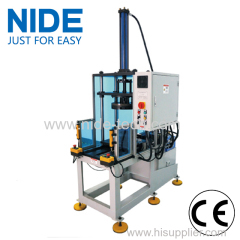 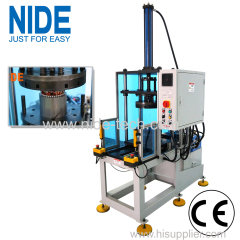 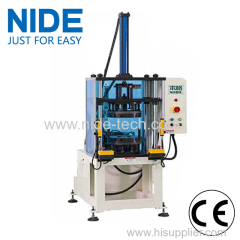 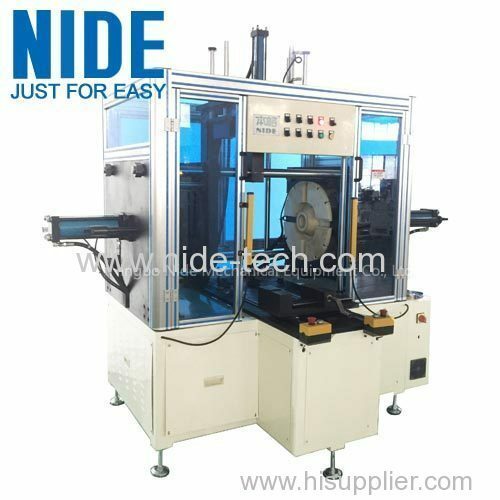 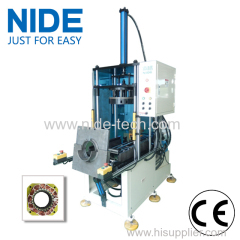 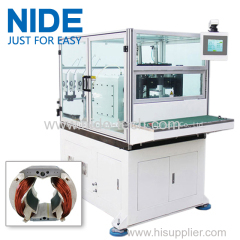 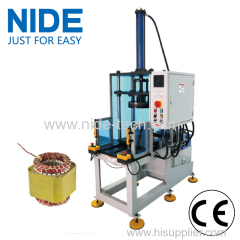 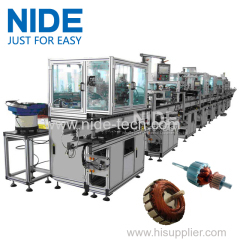 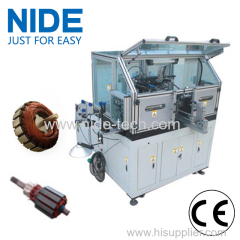 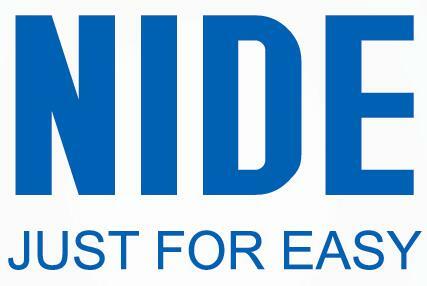 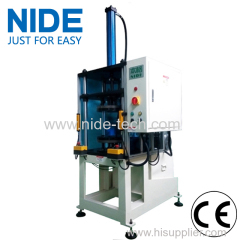 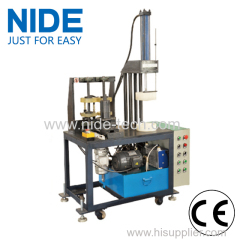 Horizontal Type Stator Winding Final Forming Machine from China manufacturer - Ningbo Nide Mechanical Equipment Co., Ltd. 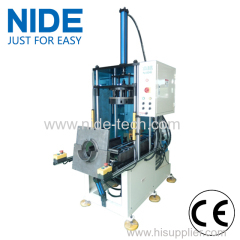 This forming machine is designed with a horizontal type to better load and unload stators, especially for the big and heavy stators. 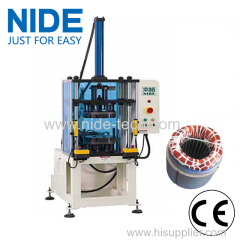 This machine is horizontal type so as to easily load and unload stator. 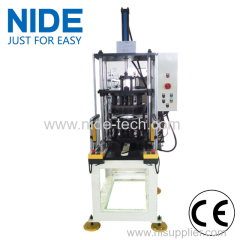 It is driven by hydraulic system, and controlled by PLC. 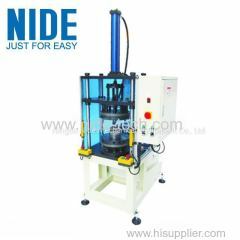 It expands the inner of the over-hang during forming process; it effectively ensures the over-hang dimension and the appearance. 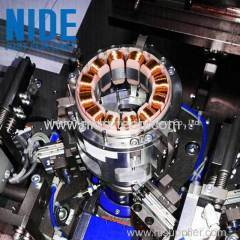 During tooling change, just change the block, inner expansion core and upper stator fixing sleeve. 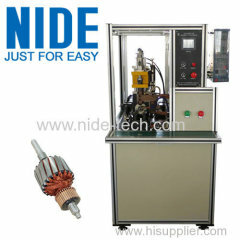 The core adopts quick release structure. 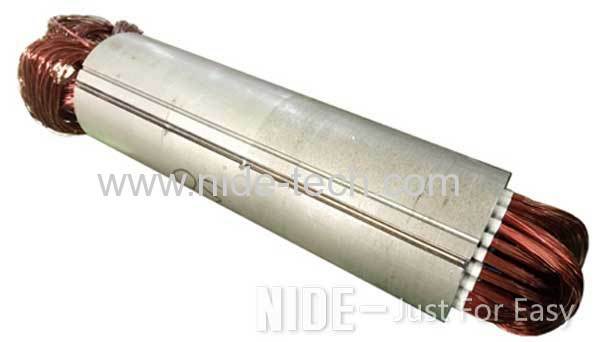 For the block and upper stator fixing sleeve, it can be quickly changed by loosening the related screws. 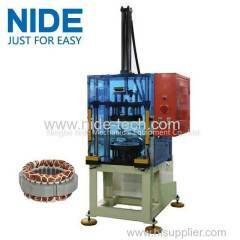 When change different stack stator, loosen related screws, then drive the gear and rack by handle. 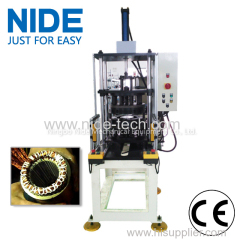 After adjustment, tighten the screws. 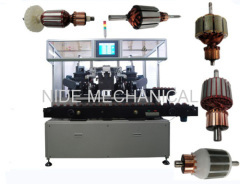 It is applied to deep water pump motor and other various type of overlength motor stator.